Crowdfunding is without a doubt one of the most talked-about online fundraising trends happening right now. This article provides a detailed look at crowdfunding, particularly from a nonprofit organization’s perspective. What it is, where it came from, where it is going, and what it means to you as a leader of a nonprofit organization. It’s important to keep in mind that even if you decide that crowdfunding isn’t the right fit for your organization, you can still learn a lot about fundraising in general by taking the time to understand why crowdfunding has become such a popular trend in the past few years. • What is Crowdfunding, and where did it come from? 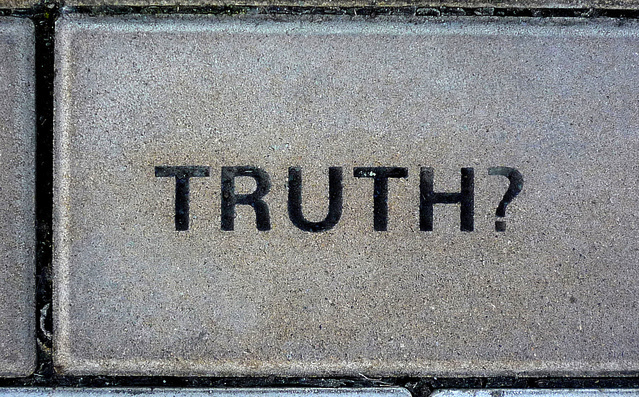 • Is Crowdfunding the same as Peer-to-Peer Fundraising? • What do Crowdfunding trends teach us about fundraising in general? 1884: Newspaper publisher Joseph Pulitzer urged the American public to donate money toward his newspaper, New York World, raising over $100,000 in six months from 125,000 people. 1953: First known “walkathon” is held in Puerto Rico, raising the equivalent of $85,000 in four days. 1971-1995: Walkathons, races, and other offline crowdfunding events gain wider and wider traction within the nonprofit community. 1995: Internet is commercialized and goes mainstream. 2006: Michael Sullivan coins the term “crowd funding” when describing the process of raising money online for video projects. 2009-2012: The concept of crowdfunding takes off in popularity, spearheaded by sites like Kickstarter, Indiegogo, GiveForward and Classy (gotta give us a little love too!). Today: There are over 450 crowdfunding sites out there, and they’re still springing up like dandelions. At this stage of the game there are countless examples of successful crowdfunding efforts conducted by all sorts of people and groups. A few of the famous ones include the campaign for the bullied bus monitor Karen Klein (IndieGogo), the “Inocente” documentary that went on to win an Oscar in 2013 (Kickstarter), and the Kony 2012 campaign that generated 100+ million video views and millions in donations (Classy). Although crowdfunding seems to be everywhere now, nonprofits were actually some of its earliest adopters. In the early days, nonprofits tied crowdfunding to their offline events, like runs, walks and rides. In many cases, participants had to fundraise from friends and family just to participate. This was a very new concept for everyone involved, and the “all-or-nothing” event participation provided the perfect incentive for individuals to try it out. IS CROWDFUNDING THE SAME AS PEER-TO-PEER FUNDRAISING? Even though the terms “Crowdfunding” and “Peer-to-Peer (p2p) fundraising” are often used interchangeably, p2p fundraising is actually a specific type of Crowdfunding that has its own unique attributes. Remember, the term “Crowdfunding” simply describes a collective effort to pool money together for some sort of initiative. At Classy, we talk about “Crowdfunding” in two-categories: Single-Tier Crowdfunding, and Multi-Tier Crowdfunding. Crowdfunding sites like Kickstarter are “Single-Tier” because the user sets up a single campaign page and then reaches out to friends and family for contributions. 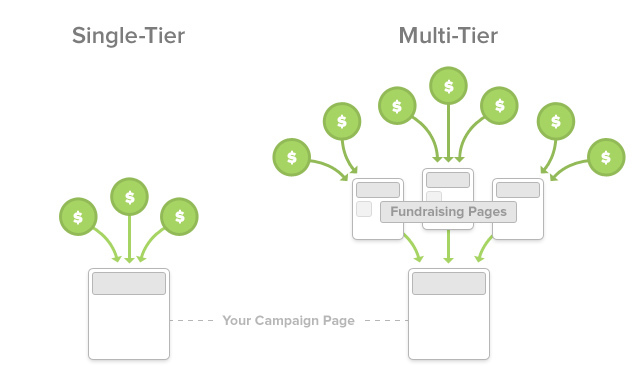 Peer-to-peer fundraising is “Multi-Tier” because after the user sets up a campaign page, other individuals can set up their own personal fundraising pages underneath it to share with friends and family (hence “peer-to-peer”). Because of this second tier of participation, p2p fundraising campaigns can have hundreds or even thousands of people fundraising simultaneously for a single initiative. Almost all Single-Tier Crowdfunding sites are project-based (meaning your project/campaign needs a specifiic end-date and cannot be open-ended). Most p2p platforms allow you to choose an end-date or keep things open-ended . Many Single-Tier Crowdfunding sites, like Kickstarter and IndieGogo (optional), embrace an ‘all-or-nothing” policy. This means that if you don’t hit your fundraising goal, all of the funds that have been raised are refunded back to the contributors. Peer-to-peer fundraising sites do not have all-or-nothing policies (at least, we’ve never seen one that does). It is common for p2p fundraising campaigns to include team fundraising, where a number of individuals fundraise on behalf of a team (i.e. coworkers, a group of friends, etc.). This adds a third tier to the campaign and looks like this: “Campaign Page > Team Fundraising Pages > Individual Fundraising Pages”. Donations can occur at any level, and all contributions roll up to the main campaign page where the total progress is displayed. It’s also common for peer-to-peer fundraising to be incorporated into offline events. For example, Susan G Komen’s “Race for the Cure”, where people who want to participate in the event, set up a personal fundraising page, and are required to achieve a certain fundraising goal to gain entry. In a lot of cases, the person will pay a flat registration fee first, and then set up a personal fundraising page afterwards to raise additional funds. The Take Away: Peer-to-Peer Fundraising is a type of crowdfunding that allows you to empower your supporters to raise money on your behalf. Historically, this has been the primary method of crowdfunding adopted by nonprofits. In our opinion, this is the right move. Nonprofit organizations typically have existing supporters who are passionate about their cause and willing to fundraise; peer-to-peer fundraising empowers these supporters to raise money and it allows them to express their personal connection to the cause. This element of personal expression is incredibly important for nonprofits, and it’s one of reasons why this particular type of crowdfunding has taken hold within the nonprofit space. You can learn a lot about fundraising in general by taking the time to understand why crowdfunding (and more specifically p2p fundraising) has become so popular. 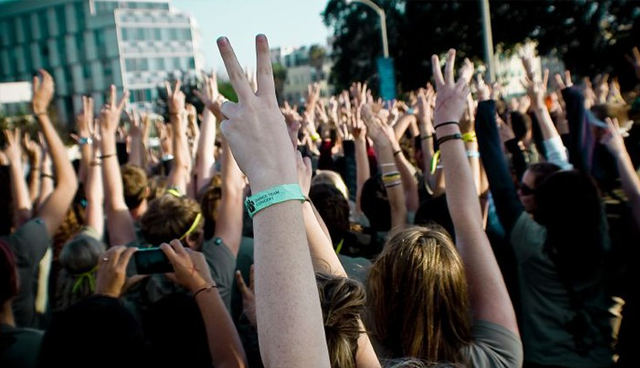 It can also shed some light on why p2p fundraising has become such an effective tool for engaging younger supporters. Even if you decide that p2p fundraising is not the best fit for your organization, recognizing and adapting to some of the underlying trends can still help you formulate a better development strategy. Here are a few of the characteristics that have helped p2p fundraising take off, especially with younger supporters:. Peer-to-peer fundraising let’s supporters tell their stories in their own words. They get to individualize the cause and explain why it personally matters to them. By doing so, they go through the process of rationalizing their involvement, and thus, become fully confident to share their (and your) message with others. This individual “buy-in” leads to higher fundraising goals and more donations. This element of personal expression also illustrates a more general fundraising trend. Increasingly supporters (especially younger supporters) want to connect their own beliefs, values, and identity to the causes they support. Personal fundraising pages provide a vehicle for this expression, which is one reason they have taken hold. 2. Lets them get involved how they want to, and when they want to. P2P fundraising allows supporters to define their own goals and set their own boundaries. They can share their page with one friend and raise $1, or share with hundreds and raise thousands. It also gives them the ability to connect the act of fundraising with events in their own lives, like giving up their birthday presents in favor of donations, as Charity:Water has made famous. The bottom line is that the Internet has shaken up a lot of traditional roles. Increased access to information has given consumers new ways of evaluating products, and hence, more power in the purchasing process. Crowdfunding has provided nonprofit supporters with more discretion over how they express their support for the nonprofits they follow. In the age of the Internet, people expect more control over the things they buy, the information they consume, and even the causes they support. 3. Provides avenues for social reinforcement. Nowadays, the more social something is, the more it seems to motivate a person to follow through with that particular action. Peer-to-peer fundraising is often referred to as “social fundraising” for this very reason. Younger supporters love the ability to share their passion for a cause with their friends and family, and they love it even more when those actions are reinforced publicly when someone makes a donation to their page. Unlike giving by mail or through a simple web form, P2P fundraising is inherently social. This social feedback element has also helped p2p grow in popularity. 4. Encourages collaboration as part of a larger community. Peer-to-peer fundraising also allows individual fundraisers to see how their goals fit into the over-arching fundraising goal of the organization. How is the individual’s involvement helping to move the needle for the organization (whether big or small), and how many others are also participating along side the supporter. It’s important for supporters to see that their success or failure in achieving their individual goals actually has an effect on the overall success or failure of the entire community achieving its objective. P2P makes the fact that a community exists around the nonprofit more palpable to each individual supporter. 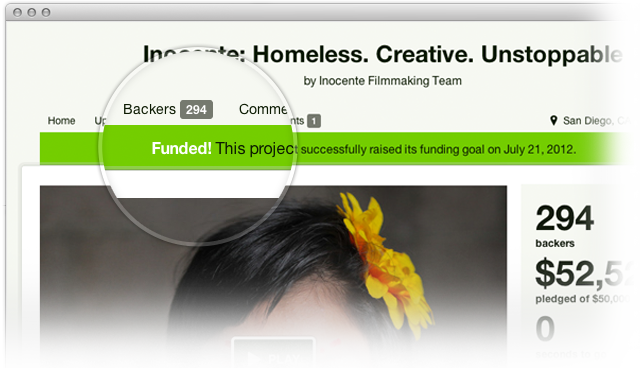 People seem to gravitate towards this feeling of community, another reason this form of crowdfunding has seen success. 5. Shows progress and increases transparency. Most p2p platforms provide tools for the organization to communicate directly with the individual fundraisers throughout a campaign. This is important because it allows the fundraisers to be updated on fundraising or programmatic progress in real-time. Showing progress will make the fundraising community feel like its effort is having an immediate impact; it will also further motivate supporters to achieve their goals (or even to raise them). Most nonprofits know that it’s extremely important to be transparent about how money is being used. Peer-to-peer can be a great tool to increase this transparency. By launching specific campaigns to fund different projects you can make it extremely clear to supporters where funds are going. This makes the whole process more tangible, enhances supporters’ feelings that they are making a real impact, and helps increase participation. At the end of the day, peer-to-peer fundraising has enjoyed so much success because it is well suited to meet the wider trends that are emerging in nonprofit fundraising. The fact is, people want increased personalization; they want more control, heightened transparency, and a sense of community. And these principles are independent of the growth of peer-to-peer. They are representative of broader changes in our expectations. Driven by shifts in technology and access to information, these are trends that nonprofits should be aware of and looking to respond to in their broader fundraising strategy (whether they adopt p2p or not). Read Next: How to Get Started with Crowdfunding Read Next: How to be Successful with Crowdfunding Read Next: What is Peer-to-Peer Fundraising?